With the turbulent world economy, companies should focus on developing and reviewing their own business, advises Professor of Finance Vesa Puttonen. When the interest rates are low, it’s also wise to avoid taking excessive risks. Brexit, trade war, Trump, Italy’s unstable economy. There’s no question that the situation in the world economy seems to be a little uncertain and turbulent at the moment, but according to Vesa Puttonen, Professor of Finance at the Aalto University School of Business, you shouldn’t let this overwhelm you. “There’s always a degree of uncertainty in the world economy. Risks are part of life and the financial markets,” Puttonen notes. “It can feel like the world has gone off the rails, but here’s the good news: this is nothing out of the ordinary. Even if you don’t know what’s going to happen, neither does the Chairman of the Federal Reserve, nor anyone else; not your customers or your competitors. Puttonen hopes that financial management understands what you can and can’t do with company risk management, and what you can and can’t predict. Sometimes these considerations may become fuzzy under the avalanche of information, and focus can move too much into issues that a company is unable to influence in any way. According to Puttonen, some of the most important tools of financial managers include communication and instruction: financial management’s ability to make the company’s stakeholders and the executive board understand which matters the company can and cannot influence. “For example, trying to predict the dollar rate or oil prices a year from now is a waste of energy,” Puttonen says. However, these are the exact sort of things that financial managers are being asked. Puttonen notes that even the President of the European Central Bank doesn’t know, for example, how the situation in Italy or how Brexit will affect the overall economy. And the company’s competitors are no better at predicting the world economy, either. “The most important thing is that your business is designed to allow the company to withstand various risks and that it’s possible to adapt the business in different crises,” Puttonen says. When you are feeling hopeless and powerless when it comes to the world economy, you should focus on the essentials, which means things you can influence yourself: the company’s balance sheet structure and business agility. At the heart are the simple things: placing eggs in several baskets, having decentralized funding, and keeping debt and equity ratio at a sustainable level. “The company’s business should be structured in such a way that if there are problems in one direction, it can grow in the other directions and adjust its operations. You should limit the amount of financial debt and fixed costs, which are unable to provide flexibility in the short term." If there’s an irregularity in the financial markets, such as in 2008 when money lending suddenly dried up, even a well-managed company can find itself in trouble. “If you have to refinance your debt but can’t find anyone, even a healthy company can go under,” Puttonen says. According to Puttonen, in the low-interest era, all drivers encourage you to take additional debt and risk. The value of risk management only becomes evident when the wind turns against you." “Whenever interest rates stay low for an extended period and the market grows, the winners are those with the highest debt. In other words, those who take the most risks. This is when you forget about risk management. In a boom market, everyone is doing great; in fact, it has been almost impossible to not do well right now. But the value of risk management only becomes evident when the wind turns against you. Then we get to see whose business model is sustainable, who has sufficient agility, and who has their balance sheet in order,” Puttonen says. Of course, it’s neither possible nor desirable to try to completely avoid risks in the world of business. You have to make investments when it’s time to do so, and companies sometimes need to take risks. But what exactly constitutes too big a risk? That’s a line drawn into water. However, it’s possible to estimate this with stress tests. What happens if the next two years go badly? How will we cope—or can we cope? Attention should be paid to the essentials: risks that are significant and reasonably likely to occur. A great deal of energy can be spent on easily measurable risks, but it might not be the most sensible thing to do. “For example, in the big picture, the magnitude of interest rate risk may be similar to a rounding error,” Puttonen notes. Also, global economic crises are not always purely bad news from a business perspective. For companies with their house in order, they can present opportunities as well. “If a company is well prepared and able to cope with market crises, but their competitor is not, the company will be able to increase its market share and grow,” Puttonen says. 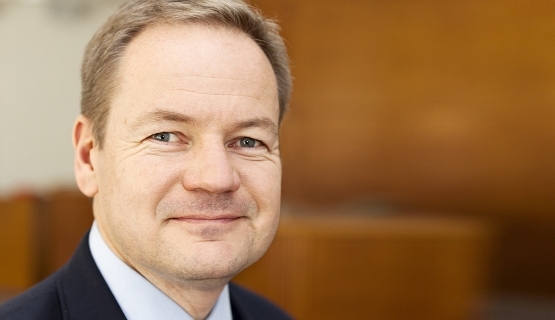 Professor Vesa Puttonen teaches in the Aalto Financial Executive program at Aalto EE, among others. Rationally irrational – How do we make decisions? Rationally irrational – How do we make decisions?Understanding the thinking processes that impact how decisions are actually made. Five eternal questions on strategy and indicatorsYou get what you measure, as the old adage says. Linking strategy to indicators is not as simple as it looks.